Slowly but surely this year's new release albums are starting to emerge and there are some highly anticipated releases about to arrive. Like all new releases, the announced launch dates are often 'flexible' with unforeseen delays holding up stock - so it pays to check with our stores to confirm availability. 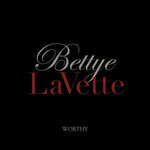 Now, after almost a decade, the soul legend that is Bettye LaVette has teamed up with producer Joe Henry once again and the result is a stunning new album, 'Worthy', featuring 11 songs composed by writers such as Mick Jagger & Keith Richards, Bob Dylan, John Lennon & Paul McCartney, Mickey Newbury, Beth Nielsen Chapman & Mary Gauthier (who wrote the album title track) and Joe Henry among others. As Joe Henry states; "With every song on Worthy, Bettye finds the thread that first will unravel it. Then she stitches it all back together until it fits her taut frame and fierce stride, until it bends to meet her, until each song’s story is somehow, miraculously, telling her own”. Worthy is a supreme achievement from a uniquely gifted performer. - Cherry Red Records. 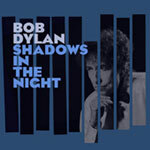 Bob Dylan's new studio album, Shadows In The Night, will be released in New Zealand February 6, 2015. Featuring ten tracks, the Jack Frost-produced album is the 36th studio set from Bob Dylan and marks the first new music from the artist since 2012’s worldwide hit Tempest. 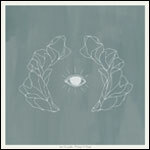 Kitty, Daisy & Lewis, three-piece band from London comprising the siblings of the Durham family, return with their new album, three years on since their hugely acclaimed ‘Smoking In Heaven’. Described as “a gift to those of us who still believe in magic” (The Observer), they have used those three years wisely, building a new 16 track analogue studio in a derelict Indian restaurant in Camden Town, resulting in an album and a sound all of their own making. 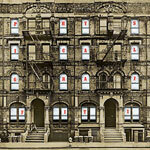 The Led Zeppelin reissue campaign continues in 2015, turning the spotlight on the double album Physical Graffiti. The deluxe edition of the group’s sixth studio album will arrive 40 years to the day after the original debuted on February 24, 1975. As with the previous deluxe editions, Physical Graffiti has been newly remastered by guitarist and producer Jimmy Page and is accompanied by a disc of companion audio comprising previously unreleased music related to the original release. Multiple formats will be available and confirmed at time of arrival. Though it’s been seven years since José González released an album, the Swedish folk artist has hardly receded from the spotlight. 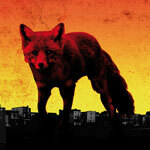 Now, he’s announced his official solo return with Vestiges & Claws, a new solo album out February 17th via Mute.